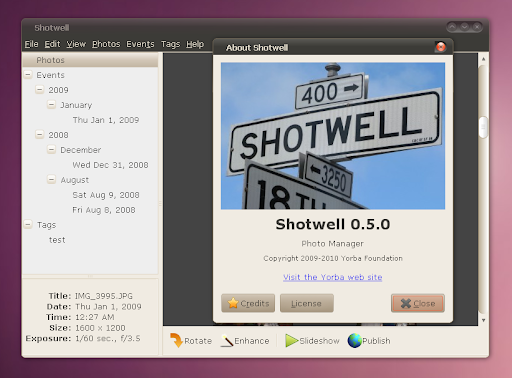 Just 3 days ago we were telling you that Shotwell (a photo manager for the GNOME desktop) 0.5 will be released soon and now Shotwell 0.5 is available for download. New or updated language support for French, Italian, German, Simplified Chinese, Bulgarian, Danish, Dutch, Estonian, Polish, and Portuguese. That makes Shotwell the only Gnome photo manager which supports exporting photos to all of the 3 services: PicasaWeb, Flickr and Facebook. 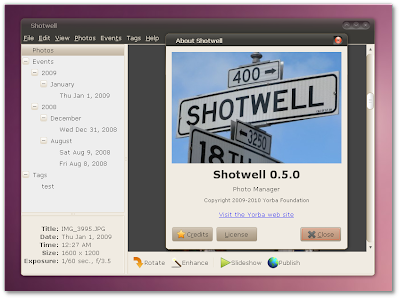 If you don't use Ubuntu, download Shotwell 0.5 from it's webpage (packages available for Fedora, Windows (alpha) and source files).